Started in 2009. Independent Campus of approx 40 acres. Trained over 300 divers from all over the world. Facilities – 37ft Diving Tower, 16ft deep Underwater Welding Tank, 20ft deep Swimming pool. Underwater rock excavation by drilling and control blasting. Underwater Videography and still photography. Salvage of wrecks and sunken structures. Desilting, Dredging and dewatering of Dams, Lakes, Canals and Reservoirs, Piling and trenching. Repairs of Dams and structures by Epoxy coatings. Deep pointing works on Dam walls. Installation of Gates and Sluice gates on Dams. Salvage and installation of Storm gates for Ports. N.D.T. inspection including MPI, CP, UT & CCTV survey. SBM & SPM installation and maintenance and operation services. Pipeline, Tie-in Installations, Gripper installation. Installation of Jackets, Platforms, Riser Clamps, Risers, Anodes, Bow String, Barge Bumpers, Riser Protectors. 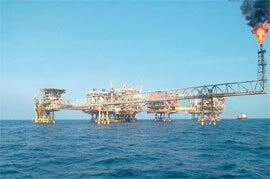 Risers, Offshore Platforms & Jackets. Base line inspection of Platforms & Jackets. Installation of PLEM structures and changing of Ball valves and Anodes on it. Lying of pipeline and repair works. 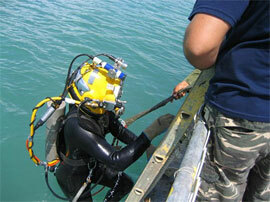 Supply of HSE approved Diving Personnel and Marine personnel for MSV & DSV. Underwater cutting using Hydraulic systems. 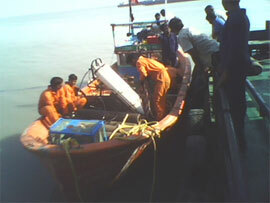 Cleaning & Maintenance of Jacket/Platform Legs, Boat/Barg Bumber etc. 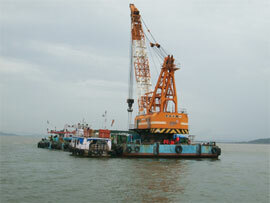 Repair & Maintenance of Underwater Pipeline and Cable etc. Underwater Videography and Hull Cleaning of MV Libra, Supreme Vision, MV Ironman, MV Brahamputra etc. Installation of riser and riser clamp at Mumbai High, Hazira & Kakinada Ports.